Dr. Shawn is no new face to Velo Sports Rehab, he’s helped many patients recover from injury and reach their mobility goals with enthusiasm! He holds his Doctorate of Chiropractic from the University of Western States, and holds 7 post graduate certifications. 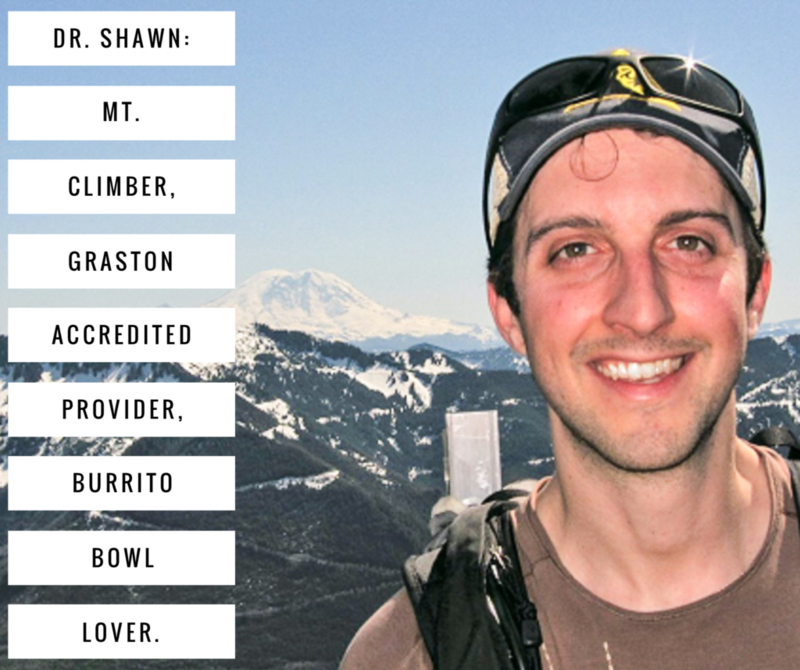 We played Q&A with Dr. Shawn and learned some other impressive facts about this energetic practitioner. I love helping people move better. Hearing about a new personal best or a return to a favorite activity following an injury always makes my day! I spent 5 years of my youth in Southern England and spoke with an English accent until I was 15. Dry British humor especially satire like Hot Fuzz. Right now I’m working on improving my Photography. I do some landscape and astro photography when I am out climbing. It seems like there is always something more to learn to help better capture the beauty of the mountains. My Grandma. She is healthy and active at 94 years old. She still volunteers as a patient advocate at the geriatric ward of her local hospital and brings the nurses a home made cake every week! Climbing, Skiing and spending time with friends and family. I would love to learn to bake. I’m reading Bread Matters by Andrew Whitley and the mixture of science and tradition is inspiring me to give it a try. Dr. Shawn is currently accepting new patients, give us a call in our Bellevue office to make an appointment: (425) 590-9208. Feel free to bring in your latest bread recipe and a few more questions.